If you have allergies, you will be very familiar with what histamine is: the chemical involved in promoting inflammation to fight against the presence of an allergic protein. Humans have evolved an immune system to react this way to foreign invaders, including pathogens, allergens, and irritants. However, some people have too much of this natural chemical because of their genetics and diet. 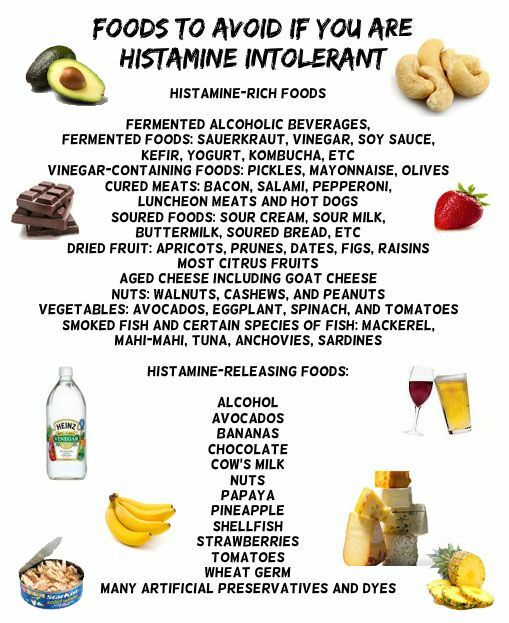 Here is a compiled histamine intolerance food list and the best probiotic you can take to cure this condition. So, read on to be sure that you don’t have this mentally and physically crippling condition because it can silently affect many people when they don’t even know it. Histamine is the major inflammatory chemical that is released by your immune system as a way to try to trap and kill something invading your body. It is actually involved in many aspects of your health, including your digestion, nervous system and brain cell communication because it is a neurotransmitter. You are probably most familiar with histamine in regards to your immune system because of all the allergy medication commercials claiming they are the best at preventing histamine release. This chemical is considered the “first line” of defense, or an inflammatory mediator. We can basically call self-inflicted inflammation by the body to be a mild reaction for trying to defend against mild invaders. More severe reactions would include fever and vomiting. You can also look at it this way: if we didn’t have histamine responses, we would never have health symptoms. But at the same time, we would also die very easily from invaders. I view this flawed immune process as proof that nature and evolution is imperfect and always changing. Although, histamine is the key to a vital bodily process that can protect us from death thousands of times each day, excess amounts of it in the body is called histamine intolerance. Everyone’s genetics are different and bodies react differently to each environmental stressor. In some, histamine is the answer to all problems. For these people, food and seasonal allergies, the presence of pathogens, and environmental irritants all mean excessive histamine release to remain alive. Unfortunately, this means that you will have to live with uncomfortable symptoms of histamine intolerance. A few conditions may lead to histamine intolerance or problems with the process of breaking down histamine. This chemical is usually broken down by two special enzymes called histamine N-methyl transferase and a mucus enzyme called diamine oxidase (DAO). The most common and likely cause of histamine intolerance would be a deficiency in the diamine oxidase enzyme. Histamine intolerance is highly correlated with allergies, but it should not be classified as one. That may suggest that one thing in your environment or diet is the cause of high histamine levels when that is likely not the case for this condition. Low blood pressure or vasodilation. You can physically notice this if your skin feels squishy. Even healthy people that eat organic salads and exercise every day can experience the symptoms of histamine intolerance and not even realize it. Histamine intolerance also makes existing conditions worse because it raises levels of inflammation. In cases of eczema, rash, acne and other skin problems, this is very noticeable. When high histamine foods are consumed, these symptoms will be increased in severity. These conditions likely have an entirely different root cause. This is likely because the placenta produces a very large amount of diamine oxidase, which breaks down histamine rapidly as discussed before. This makes it almost impossible for the woman’s levels of histamine to create symptoms. This is why many women feel healthy and euphoric during pregnancy. You can actually absorb histamine from food sources as well, and if you consume them on a regular basis, this can exacerbate the problem of histamine intolerance you could have. It could also be the root cause of the problem. The content of histamine in foods is controversial because the amount varies depending on the duration of time the food was stored, the ripeness of the food, exposure to heat from cooking and mechanical processing. All of these factors contribute to the presence of histamine in the foods. Alcohol: All kinds, but most notably beer, wine and champagne. Cooked meat: smoked fish, salami, beef, pork, etc. Foods that facilitate production of histamine in the body: Citrus, papaya, pineapple, nuts, egg whites, food fillers and additives. This histamine intolerance food list doesn’t include items that you are allergic to, which will uniquely raise your histamine levels. This is why avoiding the foods you are allergic and intolerant to is important for healing. Eliminating excess histamine is one of the first steps you can do to heal your allergies and other conditions. You can improve your histamine intolerance symptoms by making sure that you get adequate rest every night and exercise every day. Relaxation is also key for reducing stress, which raises histamine levels. Natural Supplements: Vitamin C, B Complex, Zinc, Magnesium, and Copper are nutrients that have shown potential for treating histamine intolerance. Mangosteen and quercetin are great natural supplements as well. Anything that is a DAO promoter will help tremendously as well. To try to test to see if you have high histamine levels, try avoiding all of these items in the histamine intolerance food list and then reintroduce after 30 days and take note of your body’s reaction. Obviously, if symptoms worsen, then histamine in your diet is likely causing you problems. Also, you may also go to a lab and get blood testing for histamine levels, diamine oxidase levels, and the amount of antibodies there are in your blood, which indicates chronic allergies. The lab result will prove that a high ratio of histamine/DAO means that you are ingesting too much histamine from foods and you don’t have enough of the enzyme to break it down. If testing is not available to you, try a diet low in histamine and supplement with diamine oxidase with each meal. If your symptoms get better, then this signifies that you have low enzyme levels. Supplementing with DAO may help you tremendously until you can resolve your histamine intolerance condition. One of the best ways to treat histamine intolerance is to introduce beneficial strains of bacteria in your digestive system. These probiotics live in symbiosis with your gut to produce useful enzymes like diamine oxidase that are needed to break down and eliminate histamine from the body. This is the best probiotic I’ve come across for treating histamine intolerance. Click the image for the cheapest price I could find. One of the major causes of histamine intolerance is an imbalance of unhealthy gut flora along with digestive problems like bleeding intestinal walls, leaky gut syndrome, and indigestion. Supplementing with a probiotic that contains all the natural strains of bacteria you need for healthy function will help your health in many ways. Many people eat a diet that promotes the lingering of histamine in the body, so making sure that probiotic bacteria help digest the food and break down the histamine is a great method for reducing absorption into your body. It’s not like we want to avoid those high-histamine foods anyways! This probiotic will work wonderfully for somebody that has high histamine levels because it incorporates gut-healing MSM along with Vitamin C, which acts as an antioxidant that greatly assists in the bioavailability and absorption of MSM. It is a probiotic that targets allergies, so a lot of you that suffer from them will find that it can help them a lot, just like it did for me. I really think it would work better than any other probiotic for histamine intolerance. I am always here for you, so if you have a question or something to add about this histamine intolerance foods list, please leave me a comment below! I love your page so much information that does not scare the heck out of me. I have a question to ask, the second one.. Why do some people say is not good to exercise. I’ve had HIT since May 2014 and I have always exercised and I rarely had any reactions to it. Recently in Nov I had to take antibiotics and that made me really sick and was not able to get back up for about 3 weeks. Now I started this diet high in histamine (thought I didn’t have anything anymore) well I consumed too much, now I’m struggling to get back on my feet. I started first throwing up after I had greek yogurt, then I started getting headaches (which are gone) and feeling dizzy (which is gone too), after I had hives and acid reflux. Now I just have hives, dry skin and a lot of mucus. Its been a month trying to get back on to normal. I stopped working out but should I continue. Thanks for reminding me about antibiotics and probiotics. One big tip here is to AVOID PROBIOTICS if you have histamine intolerance. Some people, like myself, do not agree with Lactobacillus strains of probiotics. That’s because they release histamine themselves as a mode of survival. For some, they benefit from this action because it prevents infection by harmful pathogens. For others, it causes an allergic reaction in itself that takes place in the digestive tract. For many, this might even be the sole cause of their histamine intolerance. Does this seem to resonate with you? It seems like doctors talk about probiotics as a kind of distraction from the real problem: undetectable parasite infections and yeast overgrowth caused by intake of too much sugar and simple carbs. So, affecting your gut flora will affect your histamine intolerance if you are prone to these symptoms. If you benefit from probiotics, I would avoid Lactobacillus strains in supplements. That also means avoid yogurt. But you could most likely benefit from Bifidobacterium strains, which don’t release their own forms of histamine that I know of. Let me know what you think! 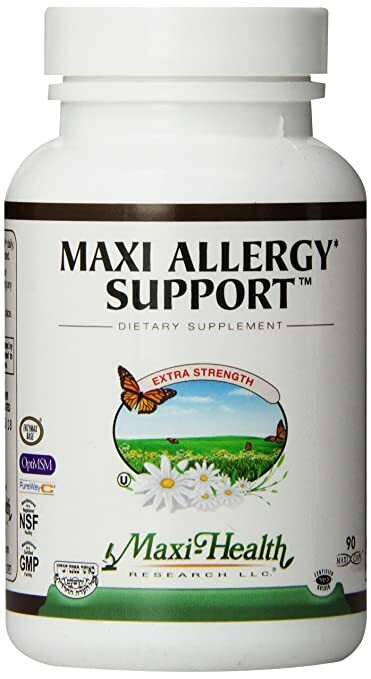 Just started taking the Max Allergy support after about a year of oral allergy symptoms. Today is bad! Could I possibly be experiencing die-off from the MSM in this supplement? Have taken 3 two-pill doses so far. Yes that sounds like a good sign. That’s exactly what happened to me at first and then my symptoms got so much better a few days later. Do you have any information or resources on seizures/EPILEPSY and histamine? Also, info about chronic migraines and histamine. I am trying to find the correlations and change my way of eating. Thank you so very much! Very interesting question. Regarding seizures, epilepsy, and migraines, I would not consider histamine levels for these problems. Unless there are other symptoms accompanying these, then I would definitely rule it out. However, the symptoms that you have described correlate directly with some parasitic infection symptoms. I believe that yeast overgrowth, heartworms, whipworms and other intestinal parasites can cause symptoms of seizures and migraines. Have you ever considered a parasite cleanse before? Please include some more information about your diet, lifestyle and symptoms so maybe I could understand better. I’d also love to know what you think! I have histamine/mast cell issues. Doung my best with diet as well as taking MSM probiotics moringa powder and magnesium at night. Istill have skin issues, much itching. I would like to take Quercetin with bromalains. Can you give me your advice please. I try not to take antihistamines like Zyrtec. Many thanks. If you have a histamine intolerance problem that you know for a fact, either with a diagnosis or cause-and-effect dieting, then you should definitely follow this list of histamine intolerance food to avoid. In addition to that, a natural antihistamine like quercetin would be a great substitute to OTC antihistamine drugs that can cause addiction, weight gain, mental problems, etc. Have you tried visiting a local allergist to see if they can determine if there is something else in your diet causing skin issues? It’s very likely that an unknown allergy is causing this, rather than histamine intolerance. Please let me know what you think! Can we hear from other ppl that use the probiotics you are recommending? Successes, failures? Is there a money back guarantee? Asking cause on a fixed income. Yeah, we need more of those! 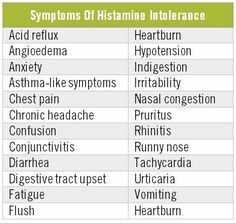 I hear many histamine intolerance sufferers praise the diamine oxidase as the best thing in the world for their health. Even other people without allergies find that it helps them feel better. DAO is very new though, but it has so much potential for histamine intolerance and allergies. Thanks Anthony. I’m just curious if you have a list of the sources you used for this post. Cheers! I add my sources in (1) style after the statement I make. Tons and tons of great information, a job well done. Your readers will love the breakdown and the amount of information you used. Your post is very helpful. Great information Anthony, I have suffered from inflammation problems for some time , I thought most of the problem was coming from a gluten intolerance. If you have investigated the problem, it might be that you have gluten intolerance. However, histamine intolerance is a very common condition and can be the result of other illnesses as well. So maybe you have both? Thanks a lot for the input! Thank you for this your post. Most of the times we suffer without knowing the cause of our suffering. Now I realize that most sicknesses start with inflammation which most times come from allergy in one food or the other we have eaten or even from some medications we take which promote them. I Like this Probiotic and will recommend it to people who may be in need of it for the best cure of this allergic reaction. Excess histamine is a huge cause of inflammation in the body. What many don’t realize is that inflammation is the root cause for a lot of diseases. If we can take care of this issue, we can be much healthier at the foundation of our wellbeing. Thanks a lot!